The European Commission has published a proposal for a European Travel Information and Authorization System, an electronic database that will help to determine the eligibility of visa-exempt third-country nationals entering the Schengen area for up to 90 days in a 180-day period. The proposal will be debated by the European Parliament and the Council and the system is expected to be fully operational by 2020. Following the European Commission report issued in September regarding strengthening the EU's external border control systems, the European Commission has published a proposal for an electronic European Travel Information and Authorization System (ETIAS). The proposal will now be debated by the European Parliament and the Council. The formal adoption of the Regulation is expected in 2017. Once adopted, the technical implementation phase will begin and the system is expected to be fully operational by 2020. ETIAS will help to determine the eligibility of visa-exempt third-country nationals entering the Schengen area for up to 90 days in a 180-day period. The system will deliver travel authorizations to qualified travelers via email. ETIAS is the European equivalent of the American ESTA (Electronic System for Travel Authorization) and the Canadian and Australian ETA (Electronic Travel Authorization) Systems. When ETIAS becomes operational, visa-exempt foreign nationals will have to apply for travel authorization before travelling to the Schengen Area. The authorization process is expected to be faster and easier than obtaining a visa. 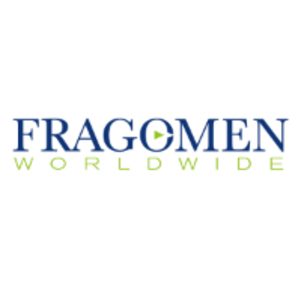 Fragomen will monitor the EU legislative process and inform clients about future developments. This alert is for informational purposes only. If you have any questions, please contact the global immigration professional with whom you work at Fragomen or send an email to brusselsinfo@fragomen.com.